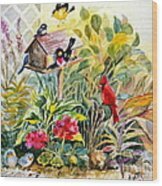 I LOVE the bluebirds as well! Thanks Nava. 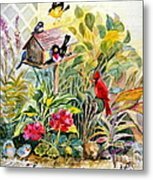 Thank you to buyer in Kennewick, WA for purchasing a print of Garden Birds! 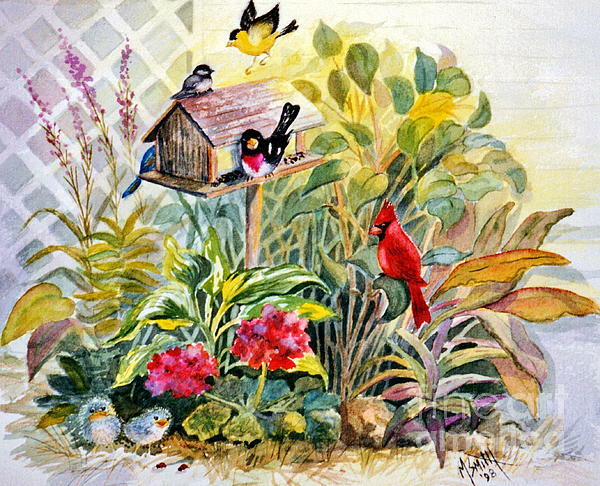 Lovely job, Marilyn! 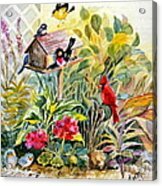 Just love the colors and the birds and flowers together go so well! Thanks Randy. I appreciate your comments so much. 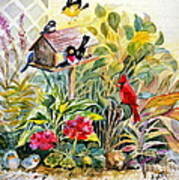 This painting was inspired by a collection of birds we had at our garden feeder one day. I decided it would make an interesting little watercolor painting.